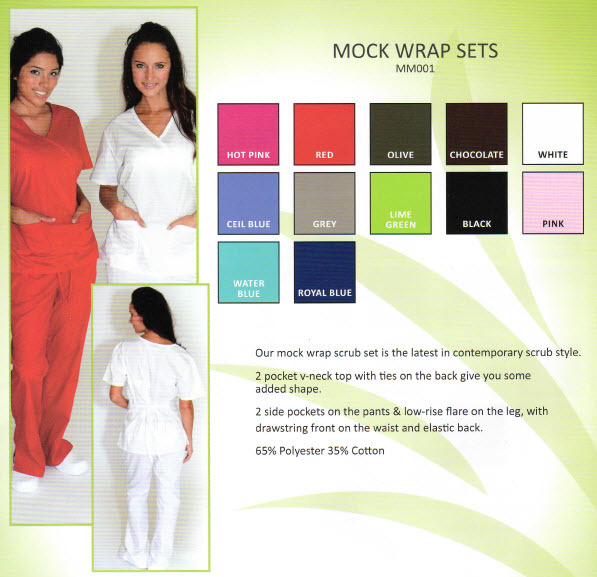 Two pocket scrub top with set-in sleeves. Pants, low rise with slight leg flare, combination elastic and drawstring waist, 2 side pockets. Colors available in this style: Hot Pink, Red, Olive, Chocolate, White, Ciel Blue, Grey, Lime Green, Black, Pink, Water Blue, and Royal Blue.